Flowers are feeling the heat as global warming is robbing them of their fragrance. The scientists at the Hebrew University of Jerusalem in Israel have found that flowers are losing their fragrance because of a steady rise in temperature. 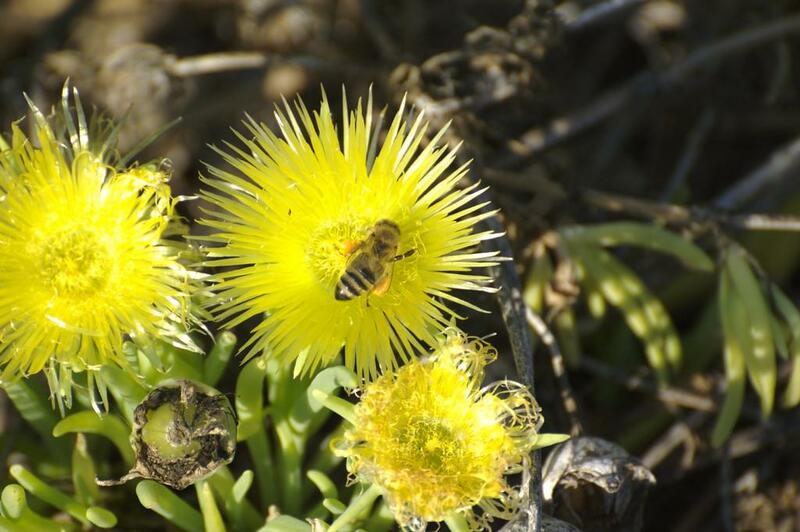 According to a research conducted by Alon Can’ani, a PhD student at Hebrew University of Jerusalem, change in global climate is “interfering with plant-pollinator mutualism, an interaction facilitated mainly by floral colour and scent”. The research was based on two varieties of Petunia plants – P720 and Blue Spark. They showed a decrease in floral scent production when their ambient temperature increased. Hence, there was a significant decrease in emission of scent compounds as well. This drop in the production of floral scent is the result of arrested expression and activity of proteins that help in biosynthesis of the compounds. Can’ani, who did a research on control mechanisms that help plants to regulate the process of scent emission, is now investigating a process called glycosylation. It’s a natural reaction wherein flowers conjugate a sugar molecule onto the scent compounds, thus making the scent non-volatile. How is floral fragrance linked to pollination and existence of plant species? Flowers produce fragrance through a mixture of volatile substances from several biochemical groups. The floral scent attracts insects to the reproductive organ of a plant. When they land on flowers, their feet slip into the groove that holds pollen sacs. When they fly away, they unknowingly carry off this sac. While landing on another flower, the sac falls off and the pollen falls out of the sac. Hence, the process of pollination gets underway. The existence of plant species will be at stake if it ceases to attract insects. How to bypass the adverse effect of global warming on floral scent production? In his research, published in the journal Plant, Cell and Environment, Can’ani demonstrated an approach to evade this adverse effect of global warming. He experimented by expressing the Arabidopsis thaliana PAP1 gene that boosts production of scent regardless of the ambient temperature. It is not the first study that was conducted to understand the influence of climate change on flowering plants, pollinators and the interactions between the two. A 2014 study, conducted by the researchers at University of East Anglia (UK), revealed that the rise in spring temperatures due to global warming is upsetting the critical relationship between the early spider orchid and the miner bee on which it depends for reproduction. The research focused on early spider orchid – found in southern England – and miner bee because they have a very close relationship. Based on an analysis of specimens of both the orchid and the bee dating back to 1848, the researchers concluded that the orchid flowers six days earlier for every 1 °C rise in spring temperatures. However, the effect on the male miner bee was greater as it emerged nine days earlier. Karen Robbirt of the University of East Anglia observed that plants and their pollinators show different responses to climate change. While rising temperatures cause both the orchid and the bee to flower or fly earlier than the usual time, the bees are the worst affected. According to her, global warming will widen the timeline between flight of bees and flowering of plants, which can have severe implications for crop productivity. Anthony Davy, who is a part of the research team, fears “progressive disruption of pollination systems” that could cause a breakdown of “co-evolved interactions between species”. The mismatch between the flowering time in plants and the flight time of insects is leading to disruption of pollination process. What comes as a double blow is the fact that a growing number of pollinator species are driven towards extinction due to global warming, as revealed by a two-year study conducted by the Intergovernmental Science-Policy Platform on Biodiversity and Ecosystem Services (IPBES). According to a report published in the official website of Food and Agriculture Organization of the United Nations, between US $235 billion and US $577 billion worth of annual global food production depends on direct contributions by pollinators. There are over 20,000 species of wild bees along with several species of butterflies, flies, moths, wasps, beetles and birds that contribute to pollination. Vera Lucia Imperatriz-Fonseca, a part of the research team of the IPBES, puts the situation into perspective, "Pollinators are important contributors to world food production and nutritional security. Their health is directly linked to our own well-being." Most of the pollinated crops, which provide fruit, vegetables, seeds, nuts and oils, are important dietary sources of vitamins and minerals. If pollination ceases to happen, the world will witness increasing risk of malnutrition. Several crops like coffee and cocoa are also an important source of income in developing countries. Hence, it’s time we arrested the process of global warming so that plant-pollinator interactions continue without any hindrance. It is highly hypothetical study bears little to the facts. We experience year to year change far far higher than the average. During 2007 & 2009 drought years, the average temperature at all India level was higher than the average by 0.7 & 0.9 oC. Same way during flood years. Also we are destroying the pollinators through bad bad western technologies. We must look in this direction, rather than worrying on hypothetical global warming!!! Also, we must concentrate on pollution rather than on carbon dioxide.